Seems like every snowstorm, flood, or blackout, a bunch of people head to the grocery store or Canadian Tire and stock up. Me? I sit at home, comfortably waiting out the problem, thanks to my small stockpile of emergency essentials. An ounce of preparation and all that. Mostly, I hate panicky crowds. So here’s the latest (and coolest) addition to my collection: the Luci inflatable solar light ($10). It’s exactly what it sounds like. It’s a small plastic inflatable cylinder; the top is metal and has the solar panel, power button, battery, and light. 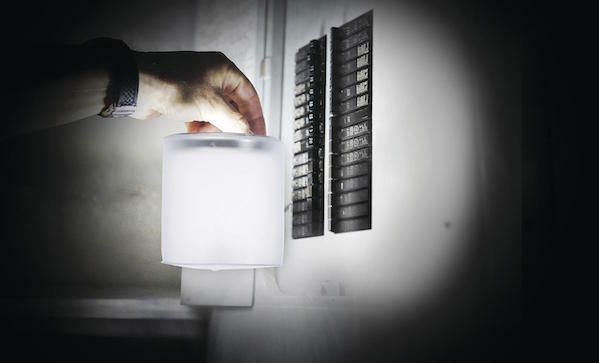 The plastic part helps dissipate the light, the panel charges the battery, and the power button also cycles between four modes: bright, super bright, flashing, and SOS in red and white Morse code. Neat, huh? Additional great features: it weighs a grand total of two and a half ounces, it’s waterproof, it fits neatly in a pocket, the light lasts up to twelve hours, and the battery will hold a charge away from light for about a month . . . in case you live up north, I suppose. Aside from my emergency kit, I could see taking it camping, boating, or my parent’s poorly lighted backyard for cookouts. And here’s one more cool thing: you can buy a one of the lights on the website and have it sent to an underprivileged person somewhere in the world. Mpowered, the company that sells the Luci, is partnered with aid organisations like Advancement for Rural Kids and Reunion Sportive d’Haiti, who can get these lights into the hands of people who could really use them. All in all, it’s a very cool thing.